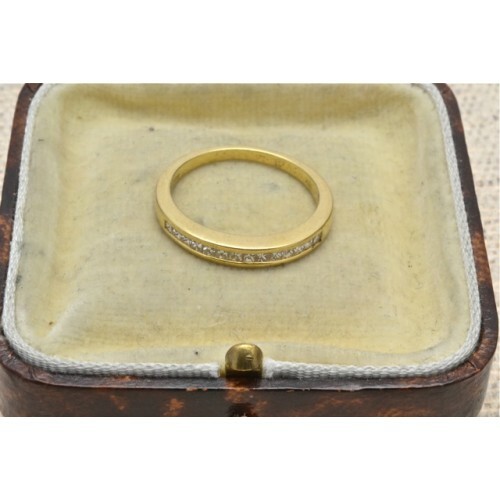 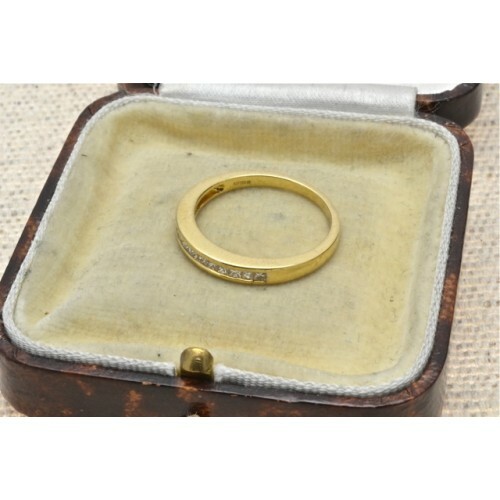 18ct yellow gold half banded eternity ring. 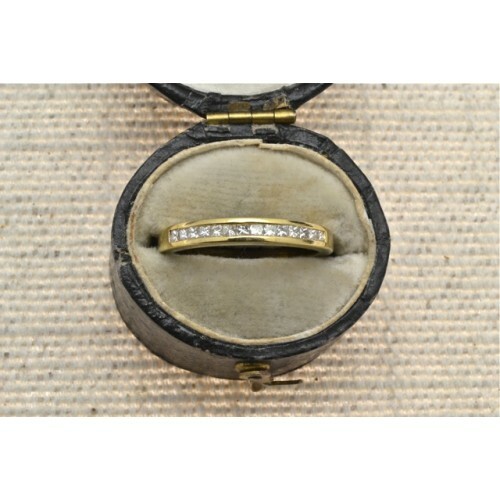 18ct yellow gold half banded eternity ring, with princess cut diamonds in a channel set. 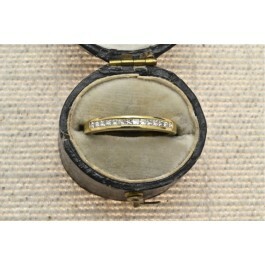 The diamonds amount to 26pts.